Angel-D ring binder provides up to 25 percent more capacity than round-ring binders. 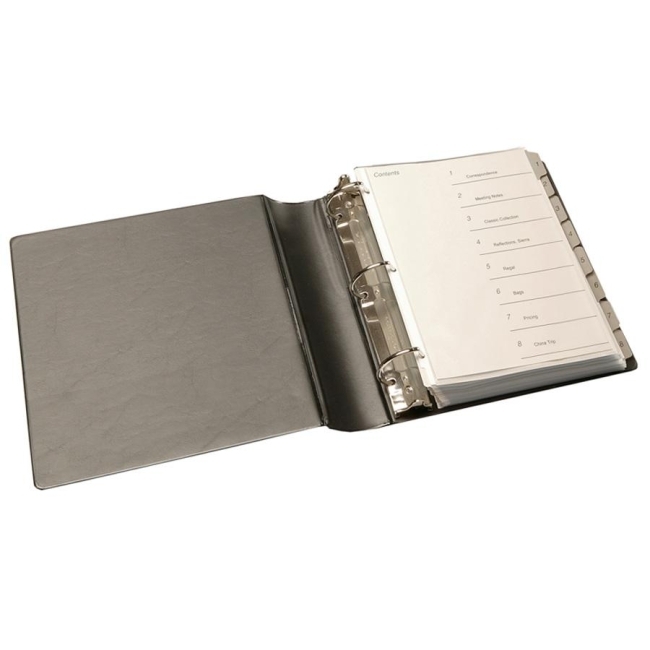 Designed to hold top-loading sheet protectors and oversized indexes. D-ring mounted on back lid lets pages lie flat and reduces wear on paper. Pocket inside front cover holds loose documents. Design features a sheet lifter, patented Flexaround curved back construction and inside front pocket.